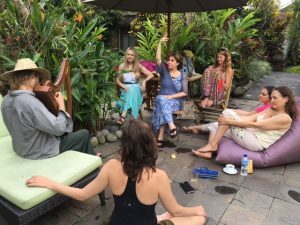 Money Goddess Retreat Archives | Morgana Rae & Charmed Life Coaching, Inc.
Suzy McCally’s Experience at Morgana’s Money Goddess Retreat in Bali Artist/Coach/Healer Suzy McCally is a successful entrepreneur, cult survivor, and mother who joined me on my Ultimate Money Goddess retreat in Bali in May of 2017. 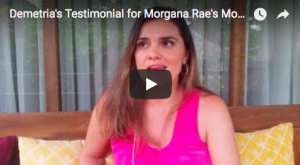 Since then she has recorded, released, and tour for her first musical CD, launched her first 90 day online coaching program, and is going back to school to get her MFA. Getting to Bali to work with me wasn’t easy for her, and she was going through some big challenges. 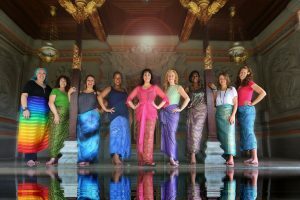 Suzy shares her Money Goddess transformation at my Ultimate Money Goddess retreat. Pleasure and Release: those were the two oracle cards she drew. A couple of days before leading my 7th Ultimate Money Goddess intensive in Bali, I was having lunch with a coach from the States I knew from Facebook. It turns out we were sitting at the only table in the whole restaurant with oracle cards, so of course we were going to draw cards and see what they said. She pulled the Pleasure card and the Release card. I knew instantly what those meant to me. Then we read the oracle deck’s official interpretation. Ewwww! So negative! He associated pleasure with addiction, and release with trauma and struggle. Not my take at all. No thank you.